They are allies by circumstance, rivals in fact, and enemies by personal animosity. 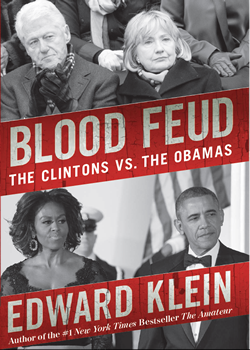 New York Times bestselling author Edward Klein pulls back the veil on the most unreported story in Washington— the jealousy and antipathy that divide the two most powerful Democratic families in the country. Jaw-dropping in its revelations, compulsively readable in the famous Klein style, Blood Feud will be the most talked about political book of the year.